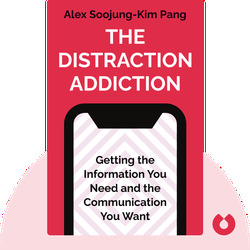 Alex Soojung-Kim Pang’s The Distraction Addiction (2013) takes a look at attention in today’s distraction-riddled society and asks how we can stay connected and productive. 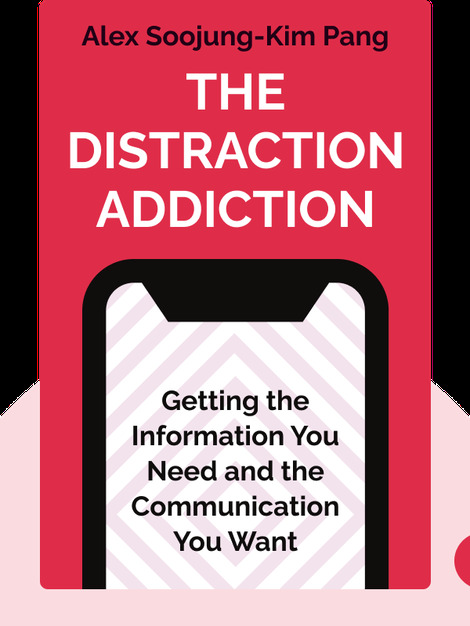 Drawing on fascinating new research by neuroscientists and psychologists, as well as traditional Buddhist thought, Pang offers hands-on advice on how to stay focused and overcome our internet addictions in a new digital age. Alex Soojung-Kim Pang is a bestselling author whose work has been translated into seven languages and praised by prestigious newspapers including the New York Times and Washington Post. Before founding the Restful Company to teach businesses and individuals about the importance of proper rest, he was a visiting scholar at Stanford University and a forecaster for several Silicon Valley think tanks. He is also the author of Rest: Why You Get More Done When You Work Less (2016).